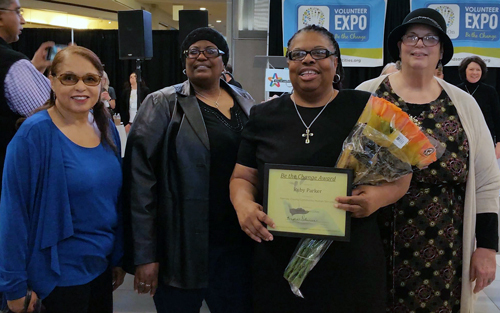 Congratulations to volunteer Ruby Parker, who was honored with a 2016 Be the Change award February 27 during the annual HandsOn Twin Cities Volunteer Expo. Ruby is also a member of the Ramsey County Citizens Advisory Council’s Low Income Committee and serves as an usher and kitchen ministry member at her church. Thank you, Ruby, for the tremendous service you provide Ramsey County residents. Learn about volunteer opportunities with Ramsey County. Posted on Tuesday, March 1, 2016 - 10:02 a.m.